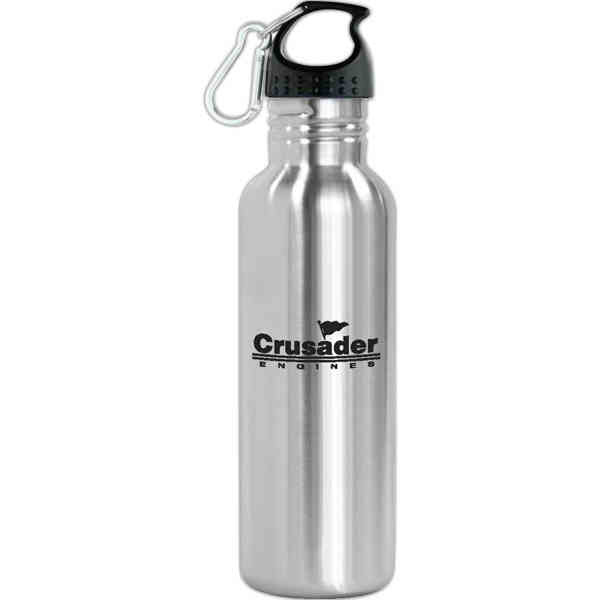 Oakley - 25 oz stainless steel sports bottle. 1 3/4" wide mouth, perfect for ice cubes and easy re-filling. Leak proof lid with carabiner clip. Reusable. Odor free. BPA free and eco-friendly. Product size: 10" h x 2 3/4" diameter. Imprint Size:5 1/2" x 2 1/4", 5 1/2" x 9", 3" x 2 1/2"
Ship Weight:35 lbs, 35 lbs per carton of 48 pieces.